Is there nothing that can be done to stop this? I had not heard this previously. You can try writing or calling immediately Harris County Judge Lina Hidalgo, Precinct 3 Commissioner Steve Radack, and Harris County Flood Control Executive Director Russ Poppe. Do you know if anyone is organizing a protest? I am part of the biking/hiking community that uses these trails daily and I am willing to fight. I think we could get a large group together and impede construction. Excellent idea. We can help get some media attention. There is a Facebook group (Anthills MTB (official)) with a large number of people that are willing to help in anyway they can. I spoke with Matt Lopez who is in charge of public communications for this project and he mentioned that once they finish construction with phase one (Eldridge to Dairy Ashford) they will analyze result and move to the area west of Dairy Ashford. The largest hurdle that we will face is the fact that Harris County Flood Control owns the property and can do what they want with it. I made it very clear to Matt that they have the power to save a park and protect the environment for future generations and if they choose not to there is no going back, we will not have another park like Terry Hersey. Matt was very polite and well spoken but is also well aware that these retention cells will not actually stop flood water from making it downstream in the case of another catastrophic flood. He has support from the HOA leaders in the area and that gives them lots of power. The HOA leaders want to be seen protecting the houses in their neighborhoods and this is the easiest and possibly only solution that has been brought forward to them. 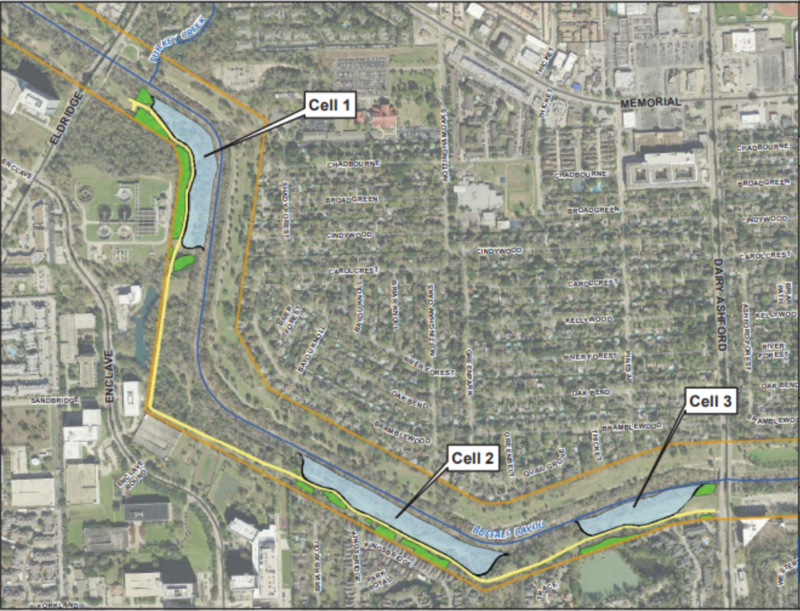 Matt mentioned that there is a planned path through the “park” once the cells are built but they will be paved and resemble something like White Oak Bayou (nothing you would want to run or bike on a hot day). 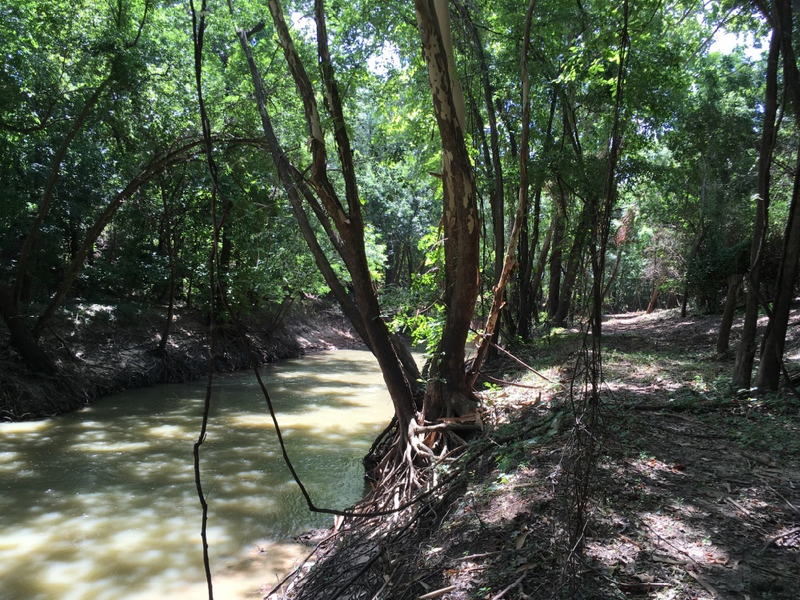 One small thing we can all do is contact Precinct 3 and ask for natural surface trails their number is (713) 755 6306. If anyone has any ideas let me know and I am willing to help. The Anthills group is well aware of this. We have been in contact with them. Check out the comments on our Facebook page. There are people who want to organize, but also people who believe (mistakenly) that this will help them from flooding, especially downstream. And definitely natural surface trails would be better. This is so sneaky how they are doing this with hardly any notice to the adjoining neighborhoods. These neighborhoods were severely impacted by Harvey and folks are doing everything in their power just to put their homes back together. The tragedy is this project will cost millions and have very little impact on flooding. But instead the wildlife, nature and trails will be gone forever. One more thing taken away from folks that have been suffering emotionally and financially already. The HOAs are blindly believing the powers that be that have already decided to force this project thinking that it will improve drainage and cause less flooding. It won’t ! They’re just adding more water into the bayou from other areas so they had to make more room. Apparently the Homeowners Associations are aware, though, and mistakenly believe the detention basins will help. Everyone wants to look like they are doing something. Anything.